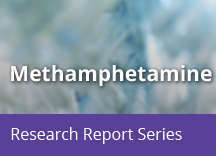 Home » Publications » Methamphetamine » How is methamphetamine manufactured? Most of the methamphetamine abused in this country is manufactured in “superlabs” here or, usually, in Mexico. 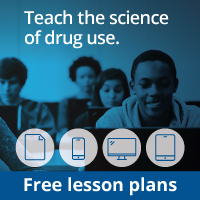 But the drug is also easily made in small clandestine laboratories, with relatively inexpensive over-the-counter ingredients such as pseudoephedrine, a common ingredient in cold medications. To curb production of methamphetamine, Congress passed the Combat Methamphetamine Epidemic Act in 2005, which requires that pharmacies and other retail stores keep logs of purchases of products containing pseudoephedrine and limits the amount of those products an individual can purchase per day. A few States have even made pseudoephedrine available only with a prescription. Mexico has also tightened its restrictions on this and other methamphetamine precursor chemicals. But manufacturers adapt to these restrictions via small- or large-scale “smurfing” operations: obtaining pseudoephedrine from multiple sources, below the legal thresholds, using multiple false identifications. Manufacturers in Mexico are also increasingly using a different production process (called P2P, from the precursor chemical phenyl-2-propanone) that does not require pseudoephedrine. Methamphetamine production also involves a number of other easily obtained chemicals that are hazardous, such as acetone, anhydrous ammonia (fertilizer), ether, red phosphorus, and lithium. Toxicity from these chemicals can remain in the environment around a methamphetamine production lab long after the lab has been shut down, causing a wide range of damaging effects to health. Because of these dangers, the U.S. Environmental Protection Agency has provided guidance on cleanup and remediation of methamphetamine labs.